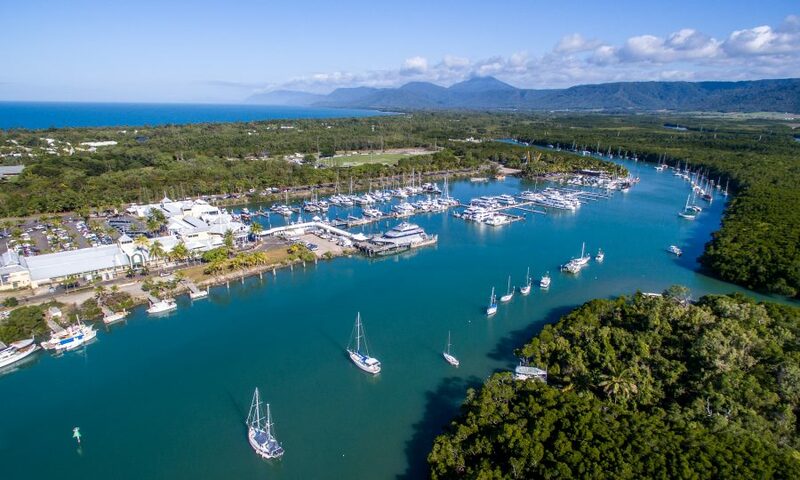 Adjacent to two World Heritage areas, the Great Barrier Reef and the Daintree Rainforest, Port Douglas is ideally positioned to give you a variety of things to see and do. Sail to the Low Isles on the Indigo for a days snorkelling on the coral reef surrounding the island. A World Heritage Listed area – priceless! Head out to the Great Barrier Reef – take a tour with one of the many providers including Quicksilver Cruises. Drive to the Daintree Rainforest where Rainforest meets the reef. Browse artistic photography at Perrin Clarke Photography in town near the marina. Pick up a treasure at the Port Douglas Sunday Market – a delightful mix of local art, craft, souvenirs and fresh produce. Visit during May and experience Carnivale. Showcasing the best of Tropical North Queensland from local food and wines, to talented musicians and friendly, family fun, Port Douglas Carnivale is one of Australia’s most exciting and diverse events. Enjoy a meal at Salsa Bar and Grill our favourite restaurant in Port Douglas. Try Tractor Tubing! Hire a tractor tube for an hour for $5.00 (just in front of the Surf Club a mere 300m from Serenity Port Douglas) and invest one hour of your time to reconnect with the family.